They might be small, but kids come with a lot of baggage. Usually in the form of large toys, piles of clothes that only fit them for a few weeks at a time and countless books. Naturally, stashing all of this away requires handy solutions. And that’s where this kids storage comes in. 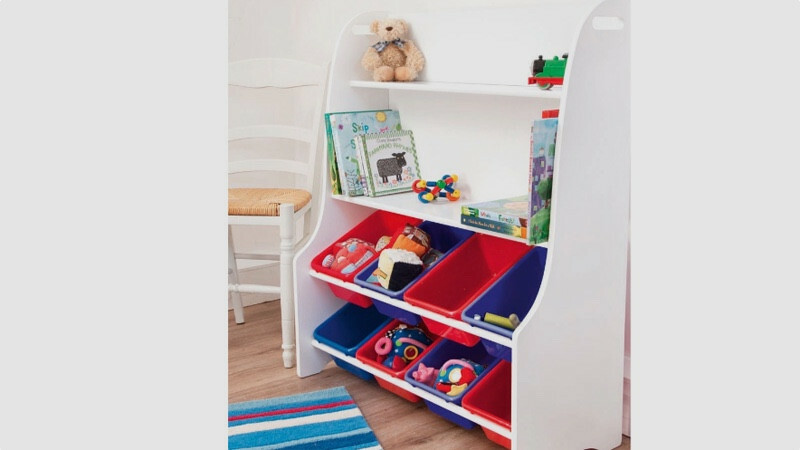 Whether you need a simple shelving unit, a spacious wardrobe or a classic toy box to keep everything tucked away and tidy, you’ll find it here. Read on and we’ll take you through the very best kids storage available to buy right now. This small shelving unit is designed with toddlers in mind. It comes with eight plastic tubs for kids to put their toys in, which can then be placed on the two racks across the bottom. These lean out so that toys can be easily reached without having to take out the whole box each time. There are also two shelves across the top for books and other essentials, such as a night light. JoJo says the idea is to encourage kids to learn how to tidy up after themselves, although there’s a strong chance that you’ll be the one piling Lego bricks and wooden cars into this unit at the end of the day. Made’s furniture is unfussy, affordable and, crucially, isn’t too hard to assemble. This toy box is a case in point. With space for 20kg of toys and a depth of 45cm, there’s ample room for all but the must bulky of play things. The white design isn’t going to entice toddlers, but then that’s hardly the point. And once they’ve grown up and no longer need to stash their toys, this can double up as storage for clothes or even be used elsewhere in the home. 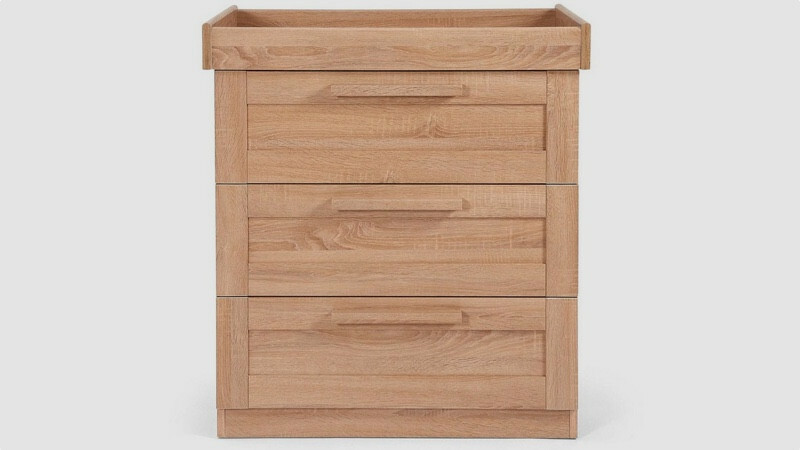 The pine and engineered wood design is timeless and there’s space between the lid and the main body to ensure little fingers don’t get trapped when it closes. The three deep drawers on this dresser are enough to win over parents laden with clothes for their new baby. In fact, there’s room for everything from nappies to wipes to toys too. But what really makes it a winner is the changing area at the top. 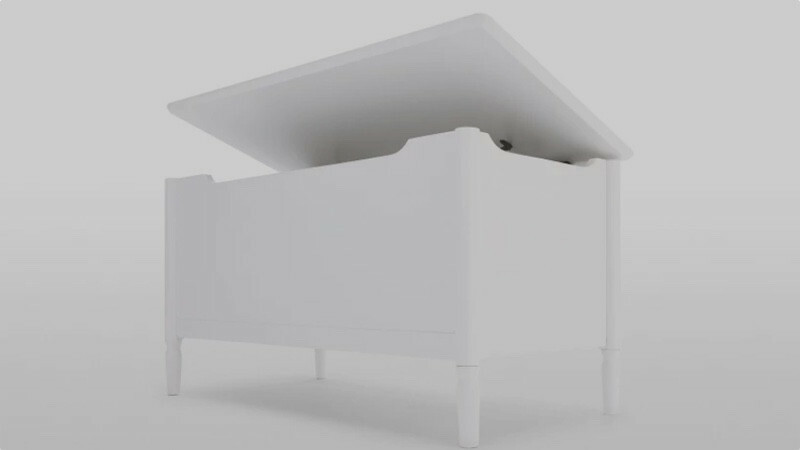 Slotting seamlessly on the top, there’s space for a cushioned changing mat. Its 95cm height means that all but the tallest of parents won’t need to bend down far to change their little one, sparing them from the chronic back ache that’s the plight of so many mums and dads. 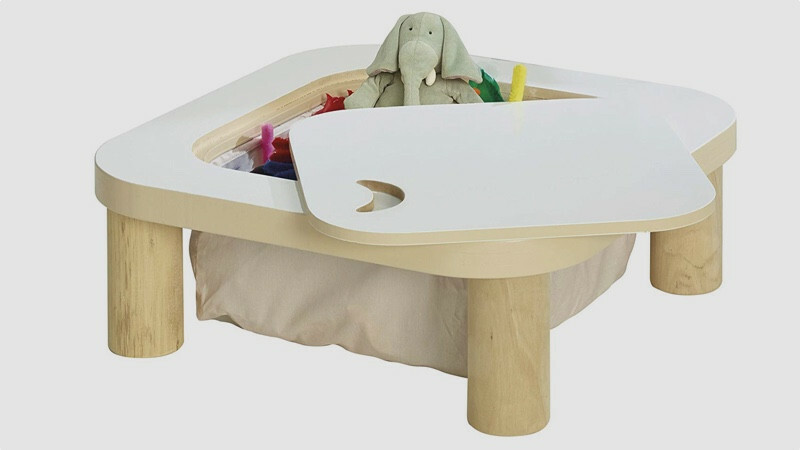 The table is suitable for up to 12 months, or 11kg. Remove the changing area and you can then use the top of the drawers to store books and other essentials for your kids. Keeping books to hand rather than tucked away on shelves is a great way to get your kids interested in reading and interacting with images from a young age. That’s not to say you have to have them spread across the floor, though. 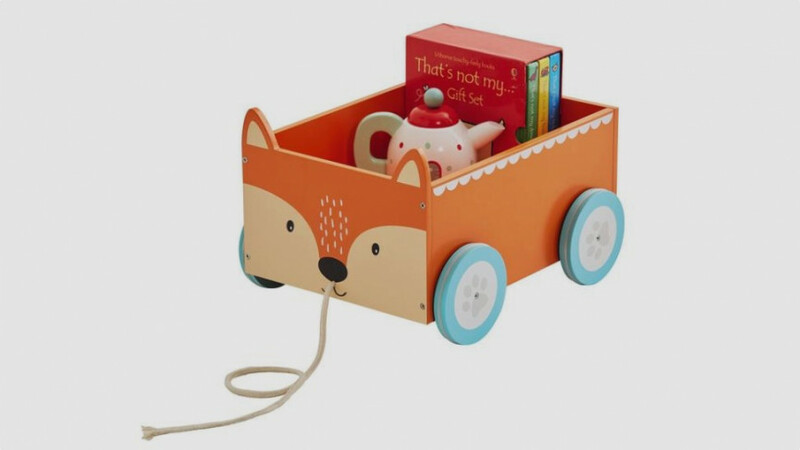 This cute little storage cart, with its neat fox design (also available as a cat and a rabbit) has plenty of room for all but the most cumbersome of hard backs. It can be pulled along by young walkers or trailed through the house by you. Best of all, it can double up as storage for smaller toys, meaning there’s no need to worry about tripping over any errant Duplo once the kids are safely in bed. This two–in–one table and storage unit is a boon for parents whose kids are starting to enjoy drawing and writing. The low to the ground table is perfect for resting paper and pens on, without the worry your little ones will reveal their inner artist on your laminate floor. Lift out the central section and there’s a canvas storage space, with room for art supplies and the odd toy to boot. There’s not the kind of room you would expect from a full scale dresser or toy box, but this will do the job for smaller items without any hassle. It’s a sharp alternative to the book storage cart seen above, thanks to its soft sides. However, there is a tendency to overfill when the kids aren’t using it.